The musicians will serve on the advisory board of the Hurricane Sandy New Jersey Relief Fund. The non-profit was created by state first lady Mary Pat Christie to aid in the long-term recovery effort following the storm. The board has raised more than 16 million dollars, so far. Bruce says he knows people will rally together to help neighbours to "come back better and stronger." 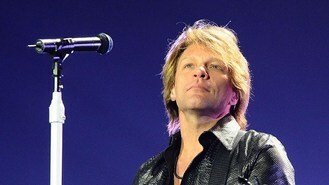 Bon Jovi says the damage and devastation is unimaginable. The musicians will join Kelly Ripa, of Live with Kelly and Michael, talk show host Dr. Mehmet Oz, and musician and actor Kevin Jonas as celebrities on the board.